The DUALIS tools are the planner's right hand. In order to ensure that the planners responsible are ideally prepared for the work with the tools on a daily basis, we provide individual trainings on-site or in the DUALIS Academy. The training courses are perfectly tailored to the utilized software solutions: from the basic trainings of several customers to specific workshops for small groups - all necessary tools and materials are provided by the trainers. 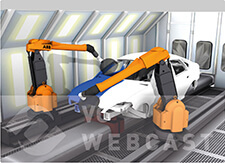 And for a quick introduction, check out our regular webcast service to see a demonstration of different product features. Just contact us to secure yourself a place in one of the upcoming workshops or to arrange an individual training with us. Momentan stehen auf dieser Seite keine Informationen zur Verfügung. 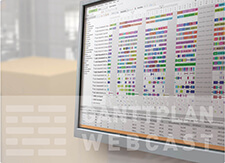 This webcast provides an overview of the various functions of our production planning system GANTTPLAN with the product stages SE (Smart Edition) and OE (Optimization Edition). The modeling possibilities, the procedure for order scheduling (manual and automated) as well as the various visualization functions in the control room and in the existing reports are presented. In our Visual Components training course, you can get familiar with the many possibilities of the innovative and scalable software platform for 3D simulation and visualization. In addition to plug-and-play layout planning in 3D with existing component libraries, topics for the creation of own components with PythonScript and the possibilities around the robot simulation are also discussed. Sign up for one of our upcoming dates. Our Visual Components webcast provides you with an excellent opportunity to quickly and efficiently gain insight into the comprehensive possibilities of the 3D simulation and visualization platform from Visual Components. With the gained overview, you are enabled to start your own tests more quickly, or you can directly address your questions that have already arisen from initial simulation experiments with the software with our experts.